The Syrian refugee crisis has become a political flashpoint throughout Europe. Some people are being assholes about it. 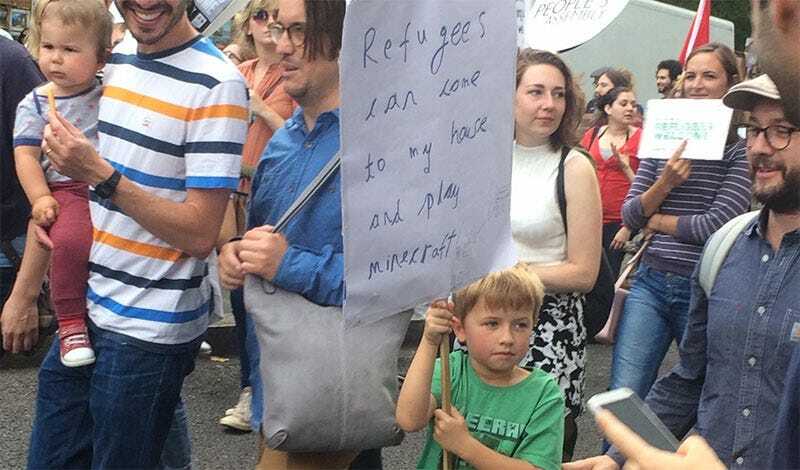 Then you’ve got this kid, spotted at the “Solidarity with Refugees” march in London.